Our most spectacular design is the "Shalako". 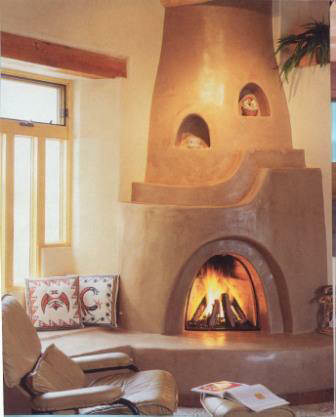 It's sweeping ledges exemplify the most exclusive Southwest style. This is our largest frame and has the most dramatic style. Optional bancos may be added to either side, along with nichos on the top. The frames may be extended or lowered to accommodate various ceiling heights.